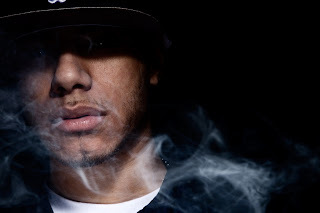 Not even a month has gone by since araabMUZIK released a mixtape and he returns with a new beat called "Motion Picture." Like the previous tape, For Professional Use Only, the MPC king its those buttons hard bring us another production of electronic/hip hop. As with most of his tunes as well, the bass is loud and heavy, so perfect if the weather is nice and you want to bump with the windows down. Now, I do like the tune but lately, I feel like he is stuck in this pattern where all his beats have a similar sound. I know he has the skill to mix in more diversity and hopefully he will start incorporating more, or people will get bored with the same formula. Stream the song below and let us know what you think.